Roofing in the Classroom is a community engagement resource following Curriculum for Excellence principles which delivers cross curriculum learning through five roofing related lessons and culminating in a site visit to a site to contextualise the learning. 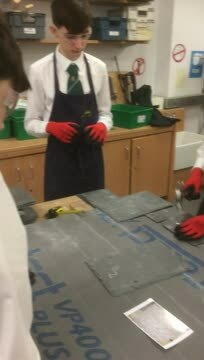 The Roofing in the Classroom pilot was developed in partnerships with Rooftec Scotland Ltd and supported by Historical Environmental Scotland, National Federation of Roofing Contractors and Scottish Traditional Building Forum. 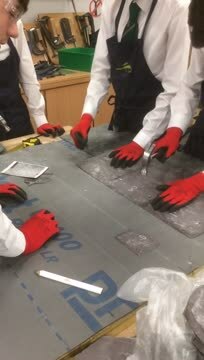 The program engages students in a practical way to introduce them to the skills required to carry out slate installations whilst looking at the wider connections between health and safety, science, technology, engineering and mathematics. Roofing in the Classroom is a good delivery model to achieve any contractual CSR requirements whilst delivering identifiable outcomes relating to pupils being better prepared for the world of work and making more informed career choices in the future.